I envisioned a couple of routes that the Ganglians could take following 2009’s full-length debut. On the one hand, they could have embraced their freak, lo-fi, sunny California streak and relocated to some wilderness cabin with the birds and the mushrooms and all that. But, the other idea I had in mind didn’t even register. Whether intentional or not, Still Living is ambitious, skillful, but still raw. 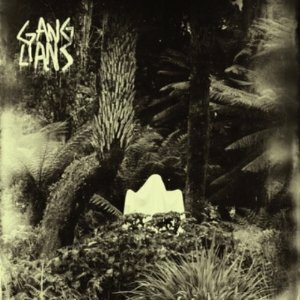 A difficult feat and it’s not somewhere I presupposed Ganglians would be have gone in 2011.Two of the album’s most ambitious tracks are somewhat buried near the end. Mid-way through “The Toad,” an ominous, slow-tempo guitar jam bursts open into a blaze of industrial organ and fire-breathing percussion. “California Cousins” on the other hand is playful and airy, almost humble sounding as the group’s harmonies ride a soft yellow glow. Though Ganglians have moved closer to pop perfection, I still miss being thumped around by their debut album’s musical horseplay.